I've decided to take a little break during the month of June to refresh my creative spirit and concentrate on other things. Don't fear! I will be back in the swing of things very soon, but for now I've closed my Etsy shop - well, I've unlisted all my items so it is technically on vacation. 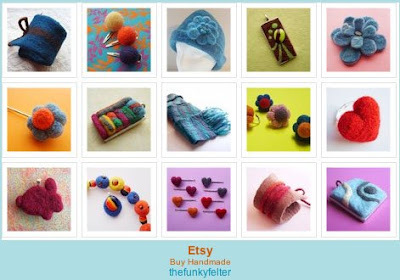 I hope to have new felted goodies to share in a few weeks and be back to listing in my Etsy shop as well as posting regularly on my blog. You can still reach me via email, the blog contact form, or Etsy conversations so don't hesitate to stay in touch!